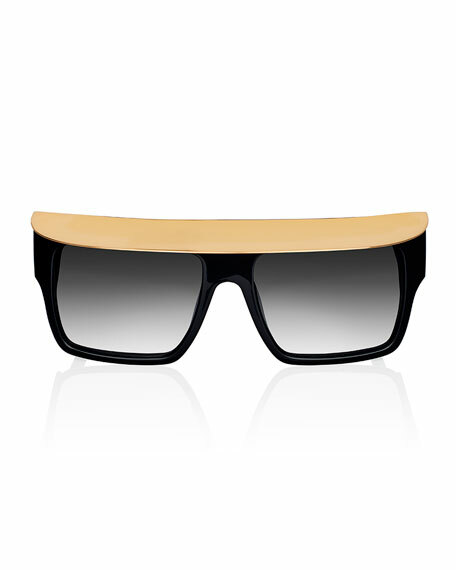 Acetate "Shady" sunglasses by Anna-Karin Karlsson. Golden metal shield on brow. Wide arms with logo detail. About Anna-Karin Karlsson:After working for one of the oldest optician shops in London, Anna-Karin Karlsson became interested in sunglasses after seeing a friend's glamorous 80s-style pair. Her passion ignited her to open her own shop where she crafted individual pairs to complete runway looks. 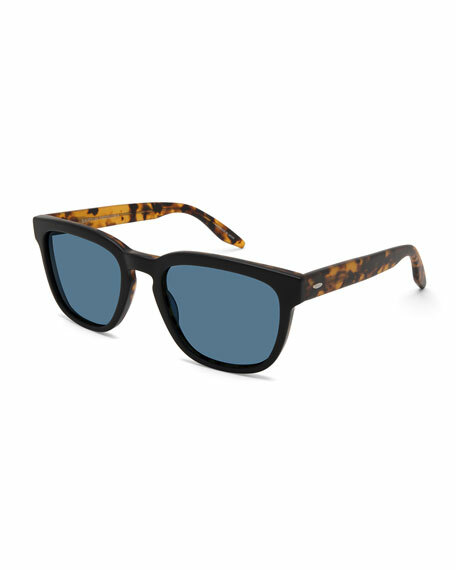 With fun colors and animal prints, Anna-Karin Karlsson sunglasses add a sensational finishing touch to any look. For in-store inquiries, use sku #258730. 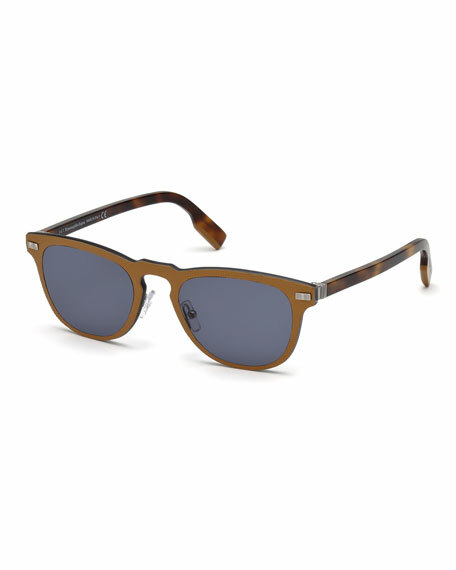 Barton Perreira "Coltrane" style acetate sunglasses. Eye/bridge/temple (in mm): 54-22-148. Classic square shape with keyhole bridge. Tortoisehell arms. 100% UVA/UVB protection. Universal fit. Frames made in Japan. 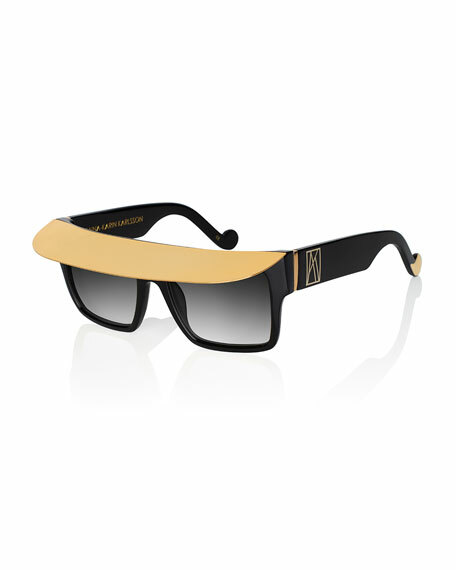 Ermenegildo Zegna metal sunglasses. Rounded square frames. Bridge/temple (in mm): 22-145. Plastic nose pads for comfort. Thin, tapered arms. 100% UVA/UVB protection. Made in Italy. 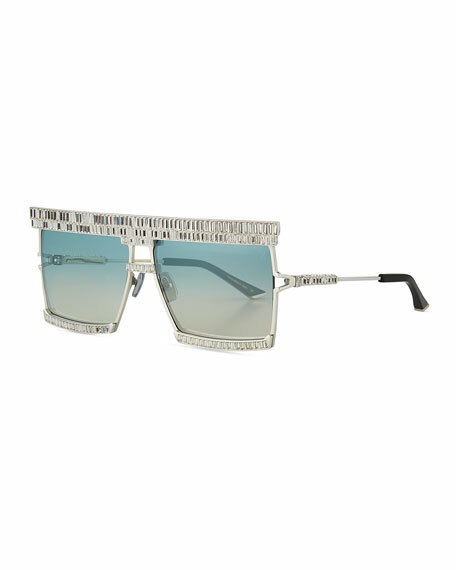 Linda Farrow square sunglasses. Lens/bridge/temple (in mm): 48-21-135. 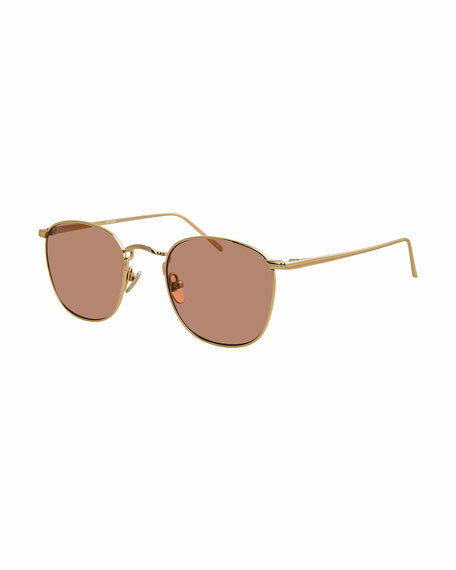 Titanium plated with 22kt yellow gold frames. Gradient nylon lenses. Keyhole nose bridge. Adjustable nose pads. Thin arms. 100% UVA/UVB protection. Made in Japan.